Combine water, milk and salt in a medium sauce pan over high heat. 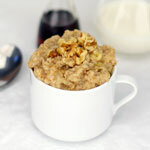 When liquid boils, add the oats and reduce heat to low. Cook - stirring occasionally - until you get desired consistency... about 3 minutes for quick cooking oats and about 6 minutes for Old Fashioned oats. Stir in the brown sugar. Fold in the raspberries. 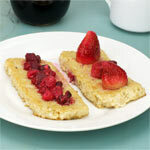 If desired, hide a teaspoon of raspberry jam in the middle of each serving (kids love it) and drizzle with maple syrup. 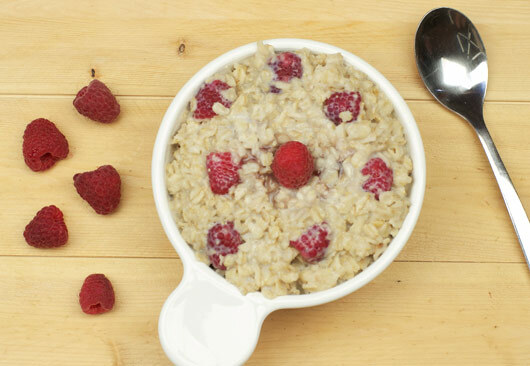 Get your day started right with healthy oatmeal and the fresh taste of raspberries. For a double burst of berry flavor, hide a teaspoon of raspberry jam in each serving. 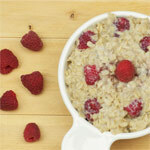 What do you think of Raspberry Oatmeal? 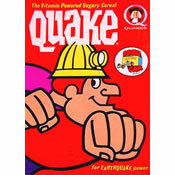 This is the best oatmeal. I'm making it again tomorrow.